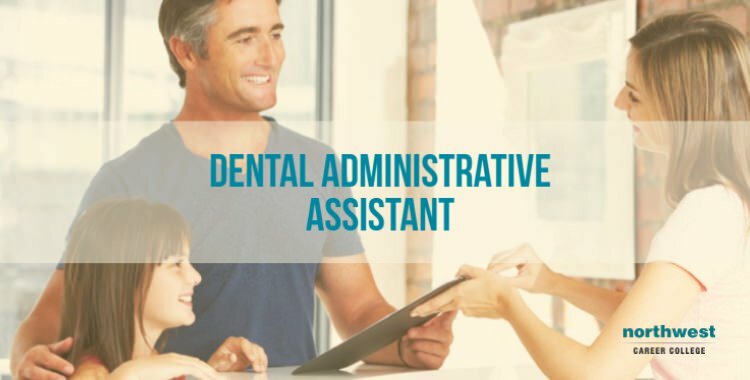 A dental administrative assistant (DAA) is a fundamental part of any dental practice, integrating with all parts of the business and providing vital administrative support. Here at Northwest Career College, our Dental Administrative Assistant Program will give you the skills and experience you need to perform as a DAA, but there are also crucial skills you can develop, while you are with us, that will help to set you apart from other candidates when it comes to finding a DAA position. Approachability: While the responsibilities of the DAA are primarily administrative, they do work as part of a larger team. Interacting with other team members is a fundamental part of the DAA’s day to day duties and being approachable and open with other members of the workplace is essential to maintaining both morale and functionality within the practice. Excellent Communication Skills: In many cases, particularly in smaller practices, DAA’s will be expected to communicate with patients on subjects such as dental records, procedural concerns, and appointments. Being able to communicate effectively about complicated and potentially sensitive matters is a vital part of projecting a positive image for the practice and putting patients at their ease. To support our students in their communication skills, Northwest offers free English as a Second Language courses to Spanish speaking students. Call us on (702) 403-1592 to learn more. Flexibility: An essential skill of any member of a small team is the ability to be flexible with their duties and job description. DAA’s in small practices may be called upon to cover other roles in the advent of absence or illness. They may find themselves taking calls, scheduling patient appointments, sending out laboratory requests to technicians, or cleaning dental equipment. Adapting to changing circumstances quickly and without complaint allows the DAA to have a positive impact on their practice. Attention to Detail: As with all administrative positions, the DAA’s role requires excellent attention to detail and a methodical approach to organization and data entry. The ability to spot errors, understand procedure and schedule efficiently are vital to a DAA excelling in their position. Work Ethic: Because the responsibilities of the DAA are inherently linked to the efficient day to day running of the dental practice. It is vital that the DAA cultivate a proactive attitude towards their work. A positive work ethic from a team member is inextricably linked with the smooth running of a practice and can have a significant affect on both other staff members and patients. Employment for entry-level employment in the dental field is expected to increase 23% over the next 10 years, faster than average for all occupations, according to the Bureau of Labor Statistics. With this growing demand for DAA’s, it is essential that graduates cultivate the skills and traits that will help them stand out in the employment market. Our student-focussed approach will help you cultivate the skills you will need to stand out. Our experienced Career Services team will work with you to help you find the best dental administrative assistant employment opportunities in Las Vegas. Call one of our enrollment specialists at (702) 403-1592 to find out more.